OSWEGO, NY – Alfred J. Pritchard, 88, a resident of Oswego, passed away on Thursday June 25, 2015, at Upstate Medical Center, Syracuse. Born in Oswego, he was the son of the late Roger and Doris (Upcraft) Pritchard. He was an US Army veteran. He worked 24 years as a machinist at Columbia Mills. He then worked as a mechanic for Alcan from 1972 until his retirement in 1987. He loved spending time with his children, great-grandchildren and great-great-grandchildren. He is survived by his wife of 67 years, Irene (Somers) Pritchard; a daughter, Connie Graham of Georgia; three sons, Larry (Cheryl) Pritchard of Oswego, Robert Pritchard of Hannibal and James (Shari) Pritchard of Hannibal; three brothers, Eugene (Evelyn) Pritchard of Sterling, Warren (Kathryn) Pritchard of Fair Haven and Olin (Patricia) Pritchard of Oswego; two sisters, Mary Joyce (Tom) Layo of Syracuse and Susan (Charles) Leavitt of East Syracuse; 17 grandchildren; numerous great-grandchildren and great-great-grandchildren; several nieces and nephews. 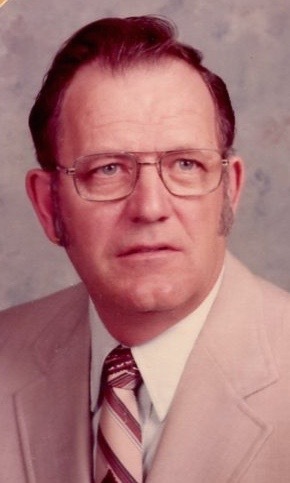 He was predeceased by an infant son, Kenneth Pritchard; siblings Robert Pritchard, Glenn Pritchard, Donald Pritchard and infant sister, Ruth Ann Pritchard; a daughter-in-law, Katherine Pritchard; and son-in-law Mike Graham. Funeral services will be held 10 a.m. Tuesday at the Nelson funeral home. Calling hours will be held 4-7 p.m. Monday at the funeral home, 11 W. Albany St. Oswego.